Matt Yocum is a colonel in the U.S. Air Force. 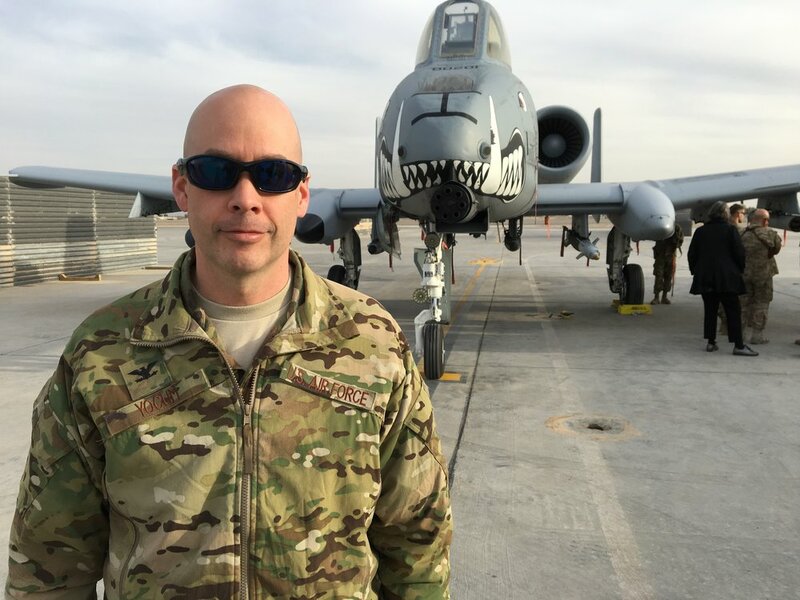 He recently completed assignments in special operations at the Joint Special Operations Command located at Ft. Bragg, NC followed by 3 years as the Air Attaché at the US Embassy in Amman, Jordan. He is currently the Director of the Commander’s Action Group for U.S. Central Command. Matt is an award-winning author whose writing covers the literary map, from technical engineering articles to science fiction and thriller novels to short stories. Most notably, Matt has written several stories for Marvel Comics, the publisher of such characters as Spider-Man, Iron Man, and Captain America. He also has a graphic novel titled ClosetWorld set to be released from Arcana Comics. When not writing for Marvel and independent publishers, he has created his own webcomics published at www.ComicCritique.com. Born in 1971, Matt lived in Kentucky until he was 17. At this time he entered the Air Force, becoming a cadet at the U.S. Air Force Academy. Matt was commissioned as a second lieutenant and received a B.S. in engineering science from the Academy in June 1993. In December 1994, Matt received a Master of Science in aeronautical engineering from the Air Force Institute of Technology. Matt's military assignments have taken him around the country and the world. Other positions he's held are Assistant Professor of engineering mechanics at the Air Force Academy and the Assistant Air Attaché at the U.S. Embassy in Tel Aviv, Israel. When not writing, Matt often spends time reading, exercising, scuba diving, and furthering his knowledge of his Christian faith. He and his wife and twin sons are currently stationed at MacDill Air Force Base in Tampa, FL.